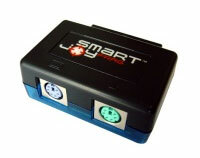 Many game controllers designed for a specific games machine can be adapted to work on another by attaching a converter. 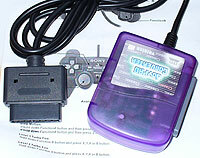 For instance, the adapter pictured above allows Playstation 2 compatible controllers to work on a Sega Saturn games console. Of note, the Playstation one and PS2 games consoles probably have the largest range of controllers to choose from, including a range of one-handed controllers and arcade sticks. Click on the image below for payment details. Please feel free to e-mail for help on anything that is unclear or for help in obtaining adapters you can't find easily. Attach Playstation Standard Controllers to PCs with a USB socket. Design may change. Use any standard PSone or Playstation 2 compatible controller on your Microsoft Xbox. Supports vibration and memory unit save function. Use any standard PSone or Playstation 2 compatible controller on your Sega Dreamcast. 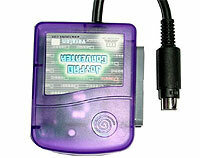 Includes a VMU slot for full compatibility. Use any standard PSone or Playstation 2 compatible controller on your Nintendo GameCube. Attach Playstation Standard Controllers to Nintendo Famicom consoles with D-shaped 15 pin controller sockets. Lik-Sang old stock. Out of Stock. Or try AtariAge or Synthetic Dreams (USA). 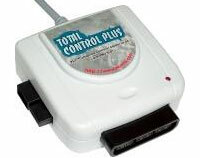 Attach a huge range of Atari compatible controllers to your PC or Mac. Comes supplied with a USB cable. 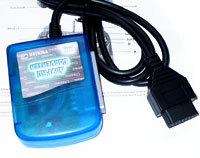 Attach Playstation Standard Controllers to Sega Megadrive / Genesis consoles. Actual version has no label and a slightly marked black connector. Attach Playstation Standard Controllers to NEC PC Engine round 8 pin controller sockets. Lik-Sang old stock. Connect Mouse and Keyboard to your Sony Playstation 2. 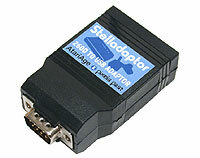 Compatible with standard PS/2 connections. Possible to redefine your own controls. 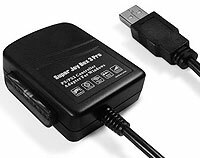 Should work with USB mice and keyboards using a PS/2 to USB adapter. Attach Playstation Standard Controllers to Nintendo Super Famicom consoles. Not compatible with European SNES. Lik-Sang old stock. Attach Playstation Standard Controllers to SEGA's Saturn games console. Amiga Kit - USB controller to Amiga/Atari D9 port. 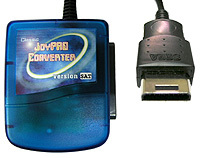 Game-Accessibility forums - Direct link to a JoyPad converters help forum. 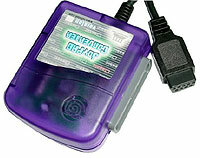 Raphnet Technologies - Great range of retro controller adapters. 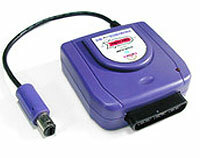 Tototek - Alternative supplier of controller adapters for retro games machines.